When I first moved to my new city, the first thing I wanted to do was explore. I wanted to know where the great restaurants were, the family friendly parks were and the best places to shop. 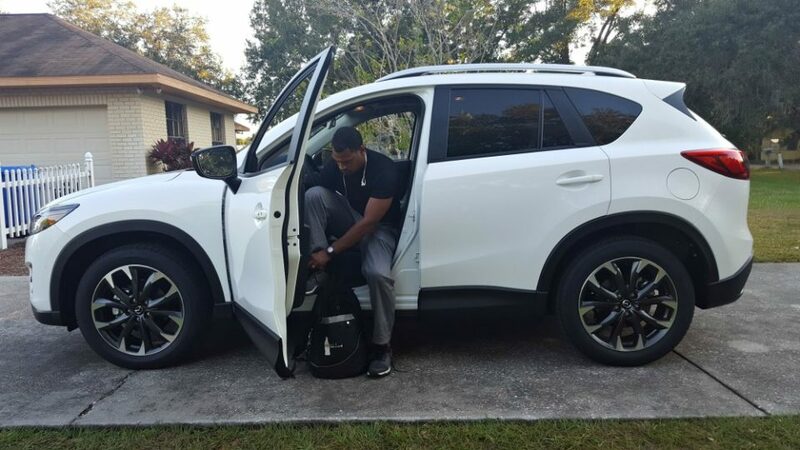 I am grateful I was given the opportunity to test drive the 2016 Mazda CX-5 to explore my new (Tampa) & old (Atlanta) city for a week. The first thing I noticed about this car was that it seats 5. It was roomy enough for my children which made a big difference. When are you a big family like mine, you need space for luggage and travel needs. With this Mazda CX-5, we had enough trunk space for all of our luggage, and a few surprises for me from my husband. This car has a lot of get up and go. It literally zips through traffic with ease. I love the safety features (blind spot detector, lane control & more) which gave me comfort while driving through new parts of the city. 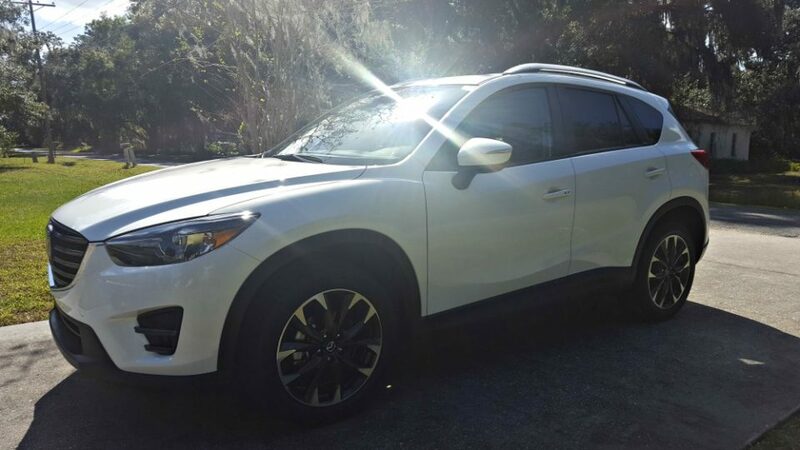 With our family traveling on the highway during the review, it was refreshing that the Mazda lived up to it’s promises of more power with ultra-low emissions and low fuel consumption as well, offering up to an EPA-estimated 33 highway MPG2. On our 7 hour road trip, I only had to get gas one time. While riding through the city, I didn’t have to gas up at all. In the long run, that’s more money in my pocket. 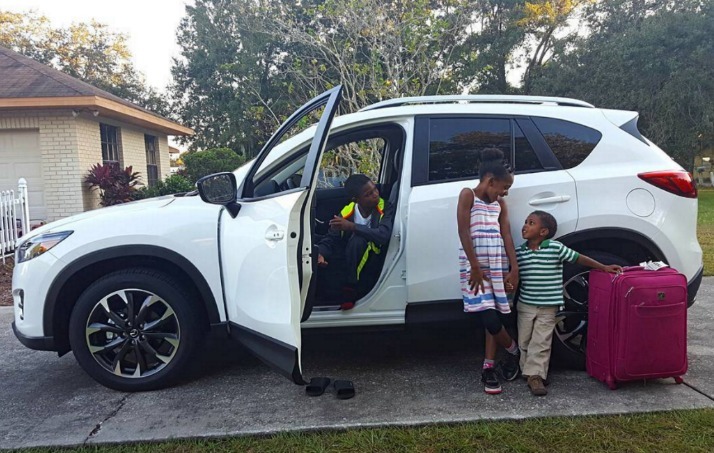 I will give you two reasons why I loved this car from a mother’s perspective. 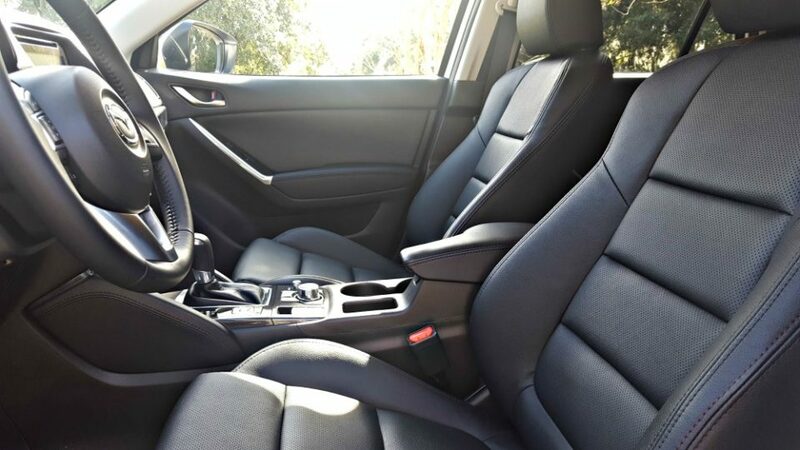 Leather seats – when you have kids and you let them eat in the car, spills are going to happen. It’s just life. This car allowed me to feel like I was in a luxury car, but still prepared if my children made a mistake. Keyless entry – all you have to do is press the door button, twice if you’re opening up all the doors. Many times, I am holding my 3 year olds hand, so not having to dig in my purse for a key is great. I love this picture of my husband. He was so handsome in this shot (to me of course). Who knew all the things he had planned for me during the week we experienced this car. First, we dropped the kids off at my mother’s house and headed to a stay-cation downtown. He booked a restaurant 2 nights in a row and we dined with our friends. The musical “Love Jones” was playing at the Fox Theatre, and imagine my surprise when we pulled up in the Mazda CX-5! He created a weekend of relaxation, and fun with no mommy worries. 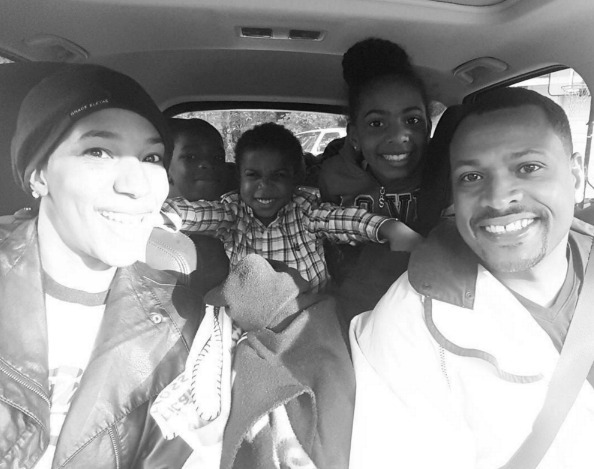 I am happy that I was able to drive in style with the kids & enjoy me time without the kids! Mazda gave me a $25 Mazda Drive For Good Charitable Giving Card that allowed me to donate to a non-profit organization. With the holiday’s in full effect, I plan on donating to a local women’s shelter. To learn more about the 2016 Mazda CX-6, including specs, and to find a dealer near you head to MazdaUSA.com! Top 5 Series: Oooooh I Found the Top 5 Sexiest Gifts for Valentine’s Day! [Video] Top 5 Gifts Moms DO NO WANT for Mother’s Day?